Voting on the amendment is scheduled to take place Saturday and Sunday. Romania's constitution currently defines marriage as a union between “spouses.” This weekend's referendum seeks to change that by defining marriage as a union between a man and a woman. A group called the Coalition for the Family gathered 3 million signatures to put the question before voters. The government and the Orthodox Church have endorsed the initiative. 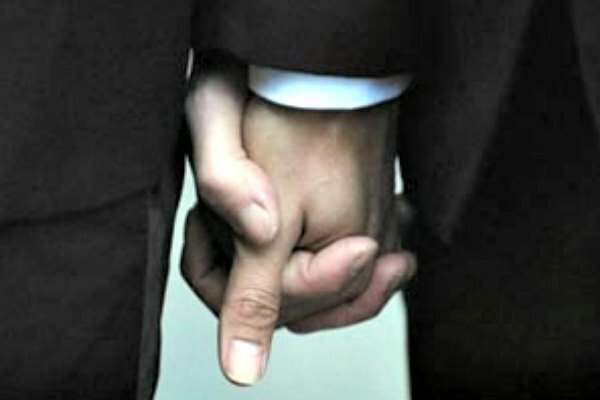 Opponents point out that gay and lesbian couples are already excluded from marriage. Amending the constitution would block lawmakers from extending marriage rights to gay couples. According to the AP, a 30-percent turnout of registered voters is needed for the referendum to be valid. Speaking at a rally in southern Romania, Orthodox Bishop Sebastian Pascanu called homosexuality a Western import. “This abnormality needs therapy, treatment rather than special laws like the ones that have different sexual orientations would like to have,” he told the crowd. Some voters said that they were boycotting the vote in an effort to nullify its outcome. “Even if I vote 'no,' I will help the referendum get the turnout it needs,” said Marcel Badea, an electrician.